The modular system redefines interior lighting design. 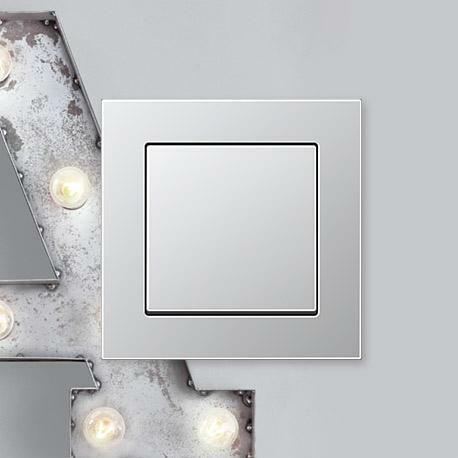 For perfectly dimmable LED light in matching switch design. 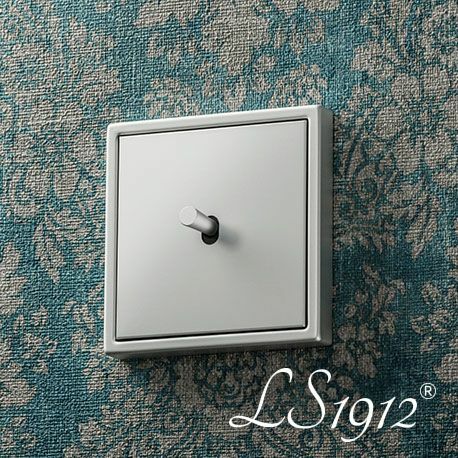 switch can be combined with the frames from the LS series and unites historical switch technology with contemporary requirements and technical possibilities. The Smart Radio DAB+ is both a stylish and a tuneful receiver that can simply be installed in the wall like a light switch. 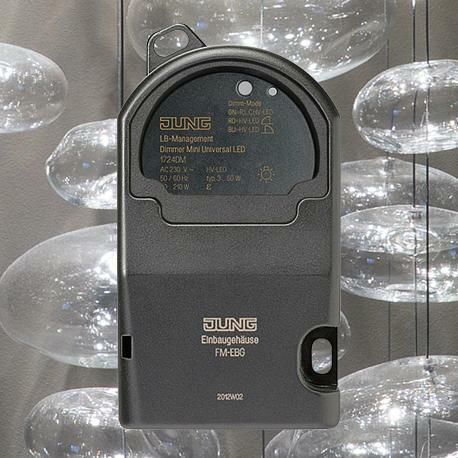 Produced in the versatile JUNG design, the radio is a real head turner. 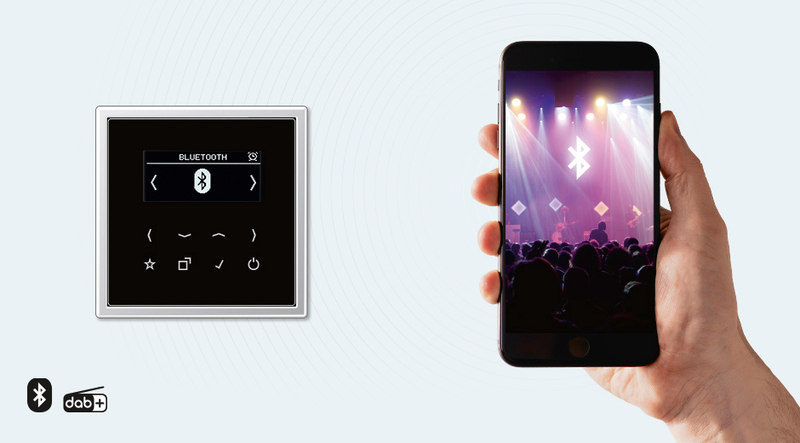 In the version with Bluetooth, you can additionally stream your own music directly from a smartphone to the radio. You are thus guaranteed to always be listening to the best hits. possibility. 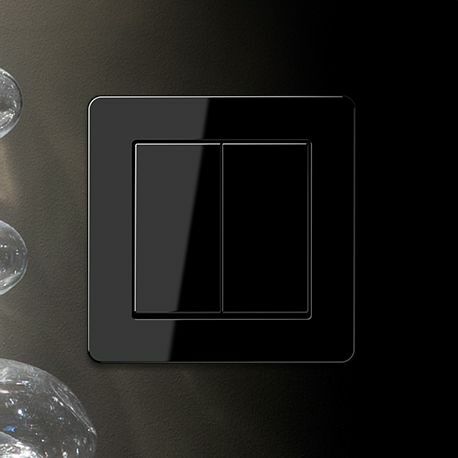 The new dimmers are the ideal solution for controlling LED lighting according to your needs. 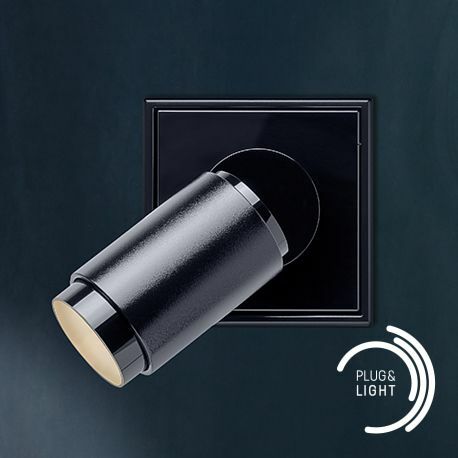 The new Mini Universal LED dimmer and Universal LED dimmer installations are gentle on the lamp and can be used in a variety of situations. 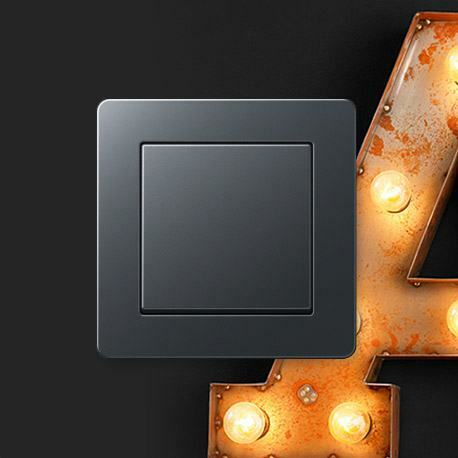 Both devices dim the brightness of all current lamps. New members in the LB Management product family: both 2-gang touch dimmers and dual-channel switch inserts complement the product portfolio. 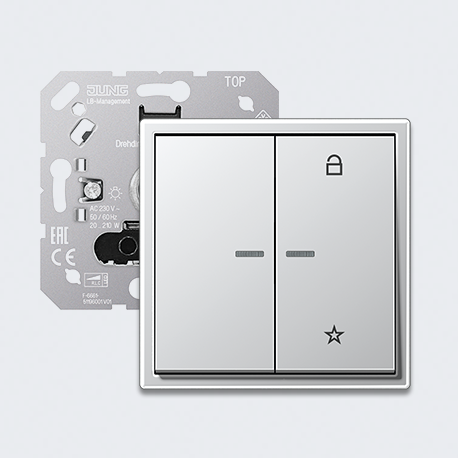 Also completely new: the 2-gang standard centre plate. 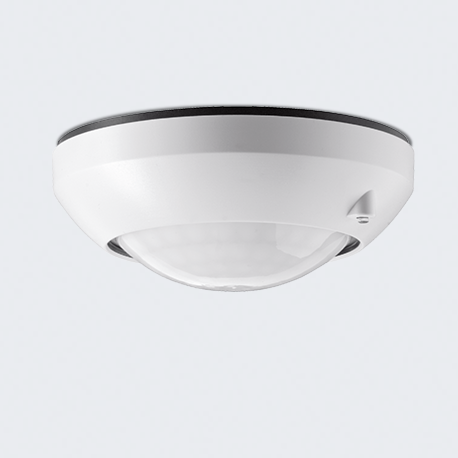 The wireless-based Smart Home gets new components: the smart and battery operated eNet ceiling observer and the wireless control button for LB Management devices extend the JUNG portfolio in the intelligent home. The new eNet wireless control button brings shutters, lighting etc. from LB Management into the eNet SMART HOME. Room overviews, scenes, schedules or if-then rules. The 360-degree lens of the eNet ceiling observer records everything that approaches it within eight metres. You can attach this recording to any actions using the eNet SMART HOME app and link to if-then rules. 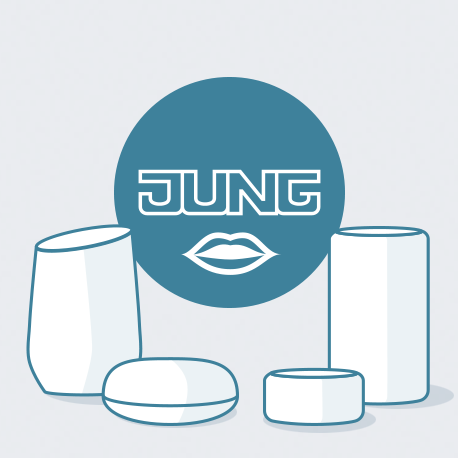 Progress as tradition: JUNG has revised the Smart Control control panel. 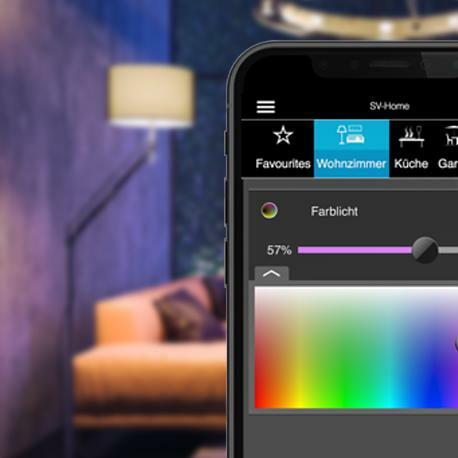 Furthermore, the cooperation with SENEC makes it possible to use energy more efficiently in the Smart Home. Revised electronics, better display resolution and new functions: JUNG has provided the touch panels of the Smart Control range with comprehensive updates. 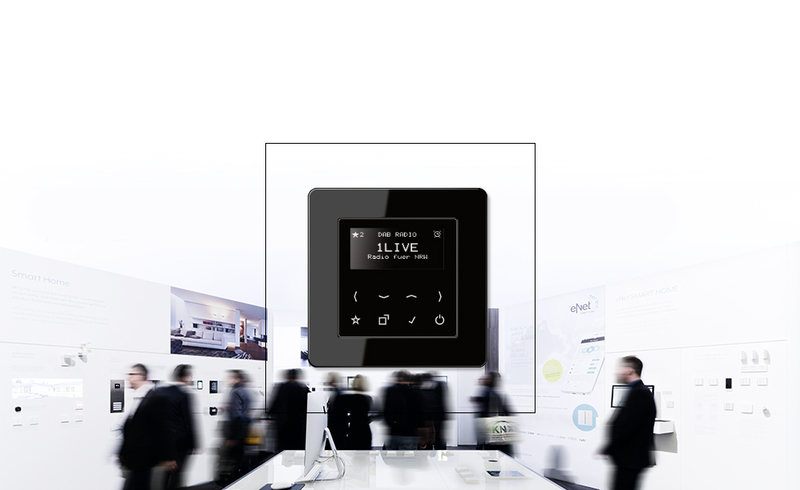 Smart Control connects all the worlds of modern building automation with intuitive operation and high-quality design. Control services in KNX and eNet SMART HOME just as straightforwardly as the devices for your intercom system. Operation by voice is now completely normal in many places. 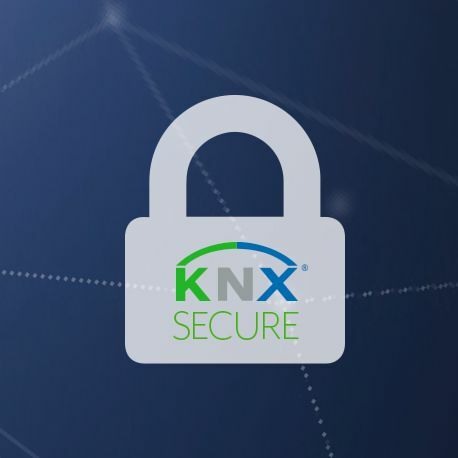 With the JUNG voice control, smart helpers such as Amazon Echo gain access to the KNX Smart Home. This is how control works with the voice. The wireless sound system from Sonos gets a connection to the Smart Visu Server. In this way, your favourite music can be heard throughout the house and it can also be set in a wonderfully matched light scene.